These are some great hybrid gloves.! There are a lot of reviews for this pack online, but not many explain all its different uses. Here’s one loadout for the GORUCK GR1 used for fitness and rucking. Look for more equipment discussion on the way, including different loadouts for the GORUCK GR2, GORUCK Bullet Ruck, Mystery Ranch 3-Day Assault Pack, the Rush Series from 5.11, and possibly a Kifaru or two! 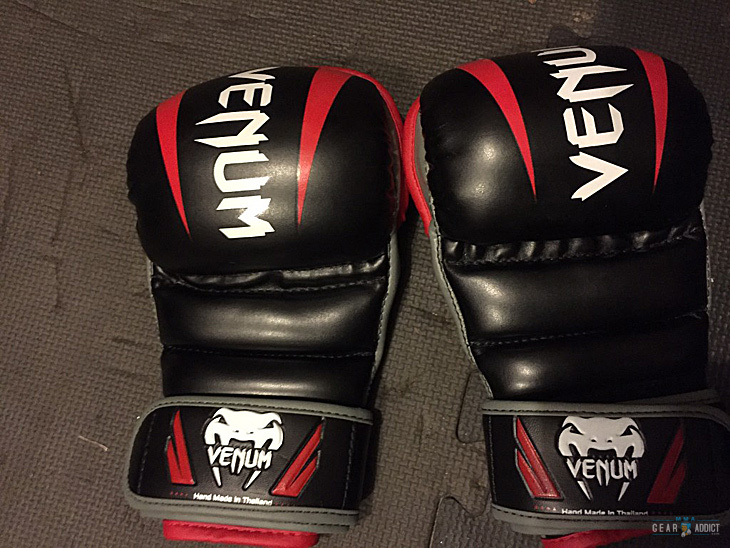 Why does a martial artist need to worry about bags? What you carry with you and how you carry it are important depending on your goals. You may be rucking for fitness, hiking for fun, training kata or calisthenics with weight, going on vacation, or just lugging groceries. No matter what you’re doing, you need to be prepared for it–a basic tenet of martial arts training. I hope that by discussing equipment we can all be better prepared for what we face each day! Here’s another post in the “Silent Ninja Workouts” series. This is a lift inspired by the Dead-Squat bar. It is meant to combine a deadlift with a squat. In this video, the deadlift is done with a 150lbs. GORUCK sandbag and a GR1 loaded with 100lbs. of plates. A Mystery Ranch Marshall pack is used for the squat, and it contains 155lbs. of sand and plates. Total weight for the lift is 405lbs., done for a 5×5 workout. It’s also a great exercise to practice maximum strength without waking up your family by throwing iron around or by wasting hours at the gym waiting for equipment. Here are pictures of the load out. The video follows after the jump. I hope this starts a trend of busy folks lifting heavy things and putting them down again in creative ways! I wrote a post about DIY sandbag deadlifts a long time ago. Here’s a new one using some new, better performing gear. This is a 5×5 deadlift demonstration. There are approximately 330 pounds of sand and plates loaded into a GORUCK sandbag, a GR1, and a 15L Bullet Ruck. The lift ain’t pretty, but it gets the job done with minimal equipment–also perfect for at-home training in the early morning or late at night. You don’t want to wake your family by throwing a bar around! Let’s call this the first in a series of posts about how to improve strength quietly and efficiently. Maybe we’ll call it “Silent Ninja Workouts” or something. Regardless, a major part of being a martial artist is resourcefulness, so there you go. You can watch the video after the jump. Here are some pics to show the setup. One resolution for 2016 we’re making at the Meriden Martial Arts Club is to train more outdoors. That means kata, kihon, and bunkai all done outside in addition to workouts to improve our fitness and general physical preparedness. One thing we’re planning in particular is to ruck. You’d have to be living under a rock to miss the biggest fitness trend of 2015! Civilian rucking is taken from military training, and what it entails is to carry a heavy bag for long distances. Mix in some other exercises like calisthenics and team-building activities, add some adverse environmental conditions, and you have the GORUCK Challenge. You can click here or the image below to check out their site for more information about their events and products. I LOVE GORUCK gear, so plan to see some reviews on this end very soon. In the meanwhile, grab a bag, get outside, and get moving! We’re working on a site revamp and to kick start our content in the near future. You deserve it! In the meanwhile, we are pursing new affiliate opportunities. Here is the first in what we hope will be new relationships with vendors aligned with our ideals in martial arts, fitness, and nutrition. Just in time for the holidays, we have a great product produced by an even greater company. Datsusara makes hemp gis, bags, and other functional MMA/BJJ that is well made from sustainable materials. If you want to pick up something for that special martial artist in your life (even if it’s yourself! ), then take a look. Here we are only a 7 days away from the biggest UFC card of the year and I am FINALLY making my triumphant return to outlandish MMA prognostications! With every major media outlet ramping up their UFC coverage, I thought I would bless my loyal followers with some highfalutin combat sports knowledge. Hit the jump to read my words! Woo hoo! The coolest karate children’s book is finally here! Kenny is a very cranky boy! Will learning karate help him cheer up? 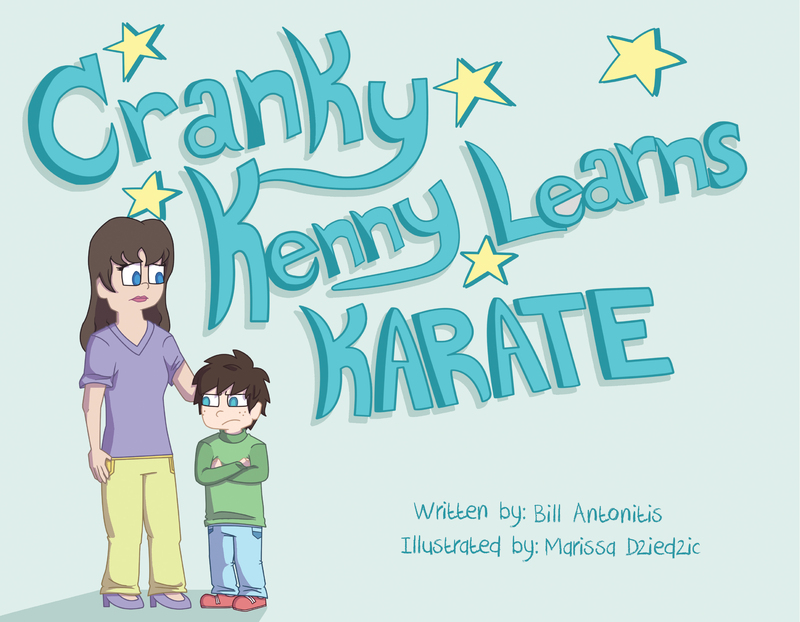 In this children’s book, kids can learn more about martial arts, self-control, and discipline. It’s a story the whole family can enjoy! In short, it’s a fun story that teaches kids the value of karate while also teaching some specific information about the Shohei-Ryu/Uechi-Ryu style. Here are the product links; please contact me at bill@proofrocks.com if you have specific questions about ordering. This is my first self-published children’s book, and I want to make sure it is perfect for you and your families and young karate students. Thanks!